Mirror, mirror on the wall, who’s the fairest one of all? 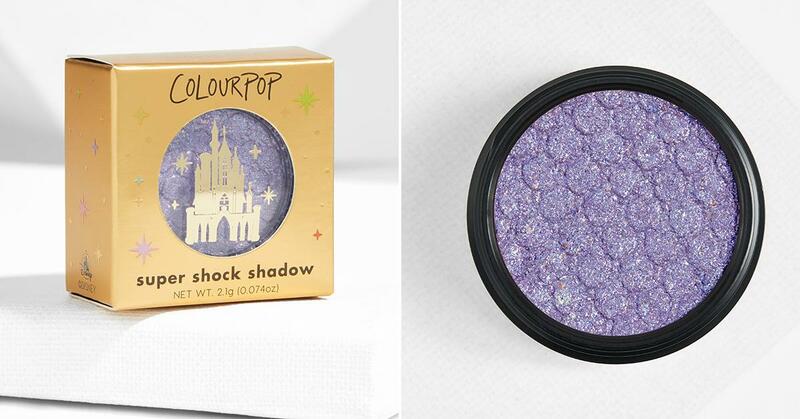 Well, it could be you thanks to Disney’s new makeup collection with ColourPop — which means, no, absolutely no evil witches necessary to make it happen! 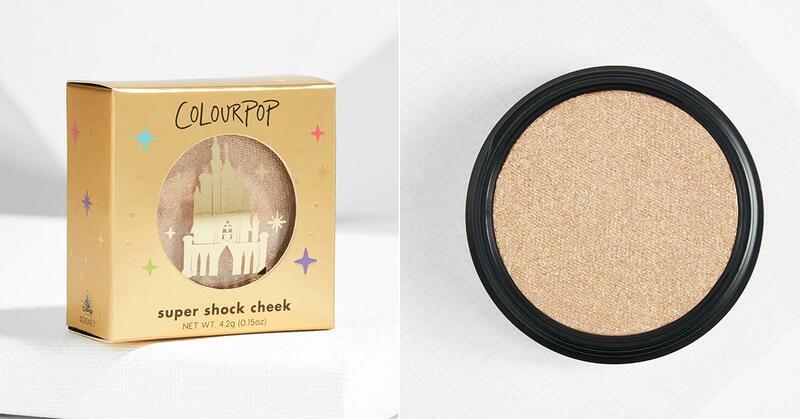 ColourPop — which has quickly become a cult favorite for beauty enthusiasts, thanks to their reasonable prices and impressive formulas — recently announced that they are teaming up with The Mouse to bring a collection of Disney Princess-inspired makeup, to coincide with Disney’s launch of “The Premiere Series” of dolls. 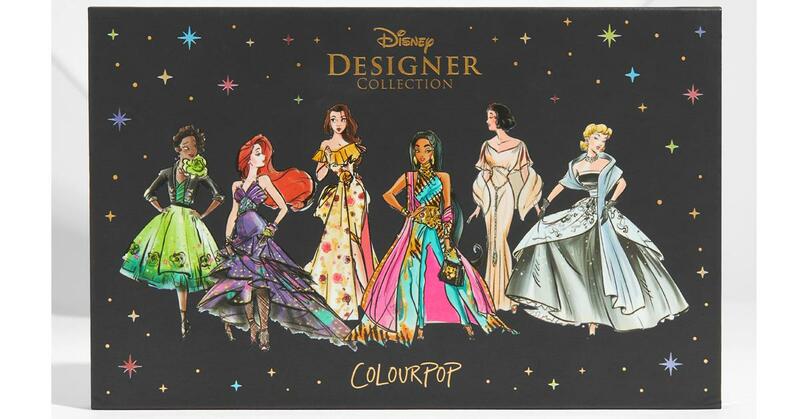 The collection — which will be sold not only on ColourPop’s website, but also at Disney stores (both brick-and-mortar and online, that is) — will “offer everything you need to get glam and create your own fairytale look.” The collab, which has been dubbed The Disney Designer Collection Cosmetics, includes everything from an eyeshadow palette, to highlighters, to an assortment of lip products in an array of finishes, with every item honoring a “quintessential” moment from each of the princess’s stories. Keep reading to learn more about the products you’ll be able to snag when the collection is released on Sept. 24. 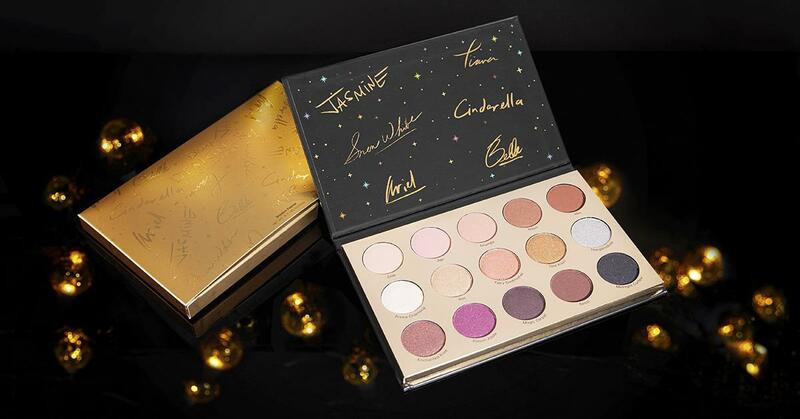 Just like princesses, pressed eyeshadows come in all sorts of colors and finishes; fortunately, with the It’s A Princess Thing palette, you’ll get to sample the best of the best — with everything from metallic to matte finishes. Some of our favorite shade names in the palette include “Thingamabob” and “One Kiss,” which are a vibrant silver and a copper gold, respectively. Not to mention, for $20, this palette is literally a steal. ColourPop’s Super Shock Shadows have rightfully earned their place as a cult favorite (confession: I have barely worn any other eyeshadow since I discovered these bad boys a few years back). They’re creamy, easy to use, and super pigmented — which makes them all winners in my book. This collection includes six shades, all named after songs from our fave Disney movies. For $5 each or $18 for all six, you can be the proud owner of Heigh Ho (a white pearl with a glitter finish), So This Is Love (a silvery taupe with a metallic finish), Be Our Guest (a satin berry pink with a blue and violet duochrome), A Whole New World (a glittery lavender with a pink, silver, and blue shift pictured above) Under The Sea (a seafoam green, obviously, with a gold shift), and Almost There (a deep bronze with a glittering silver finish). Alright, admit it: We all have a favorite princess. 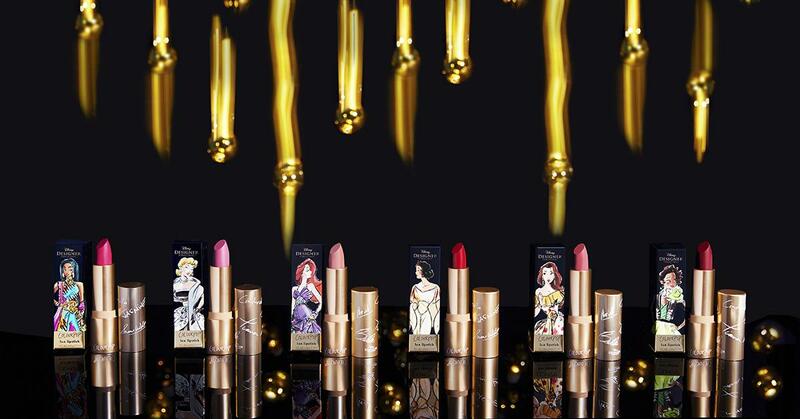 And now we can wear our favorite princess on our lips! The collection includes one ColourPop Lux Lipstick (a bullet lipstick, and the newest formula in their collection) for each of the six princesses — which you can call your own for $7 a pop (or $42 for all six). Snow White is (of course) a warm, true red; Belle is a rosy berry; Jasmine, a vibrant fuchsia; Ariel boasts a peachy beige; Cinderella is a cool-toned pink; and Tiana is a deep oxblood (perfect for the change of seasons). Lip glosses are having a big moment — and if you’re going to check out the trend, I highly suggest doing it with ColourPop’s Ultra Glossy Lip, which comes in three fun shades: Bibbidy, Bobbidy, and Boo. 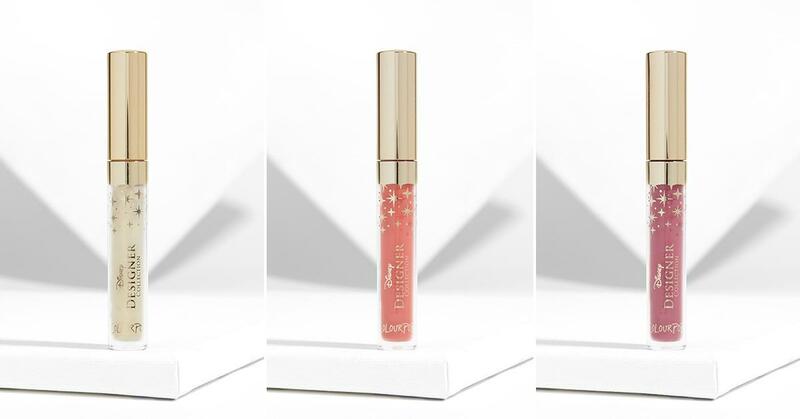 Bibbidy is a clear gloss with gold and silver glitter, Bobbidy is a bright peach, and Boo is a mid-tone pink. Pumpkin sold separately. Like the Super Shock Shadows, the Super Shock Highlighters have an amazing, creamy formula that can be applied for the perfect lit-from-within glow. And now you’ll be glowing like an actual princess thanks to these Super Shock Highlighters in Part Of Your World and A Smile And A Song, which can be yours for an incredibly reasonable $8 a pop. Want Everything? You’re in Luck! 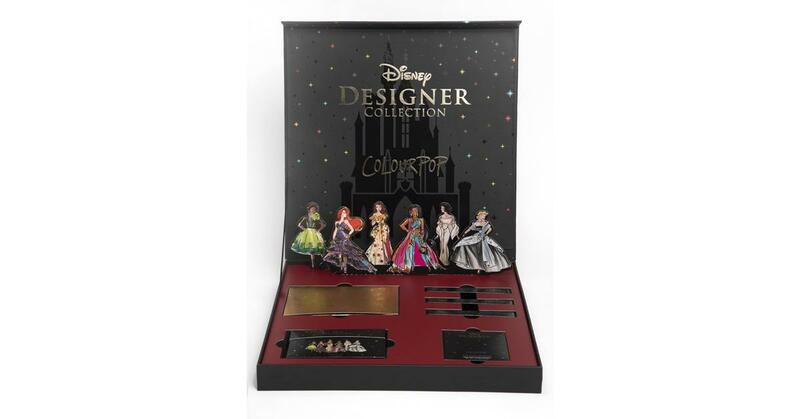 If you want to get your hands on everything in the collection — and really channel your inner princess, you can get the entire collection (in gorgeous PR packaging) for $120!